A Step Toward Equal Rights for All Families! and publishes the online magazine Nur, about art, society and culture. Finally, on Wednesday 11th April, a big step was taken toward equality of all families. The government announced that it is going to finally make different families more equal in terms of family leaves. According to statistics, Finland is one of the best countries regarding equal rights. However, families and parents don´t yet have equal rights with each other. For this reason, the Network of Family Diversity has proposed some changes in the system of family leaves. 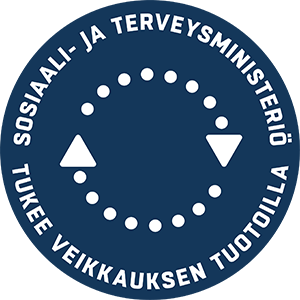 In their annual budget negotiations, the Finnish government decided to improve the situation for some families: adoptive, multi-birth and single parent families. In this article, we will list both the past situation and the changes, to perceive easily what has been revised. The changes to the leaves will be applied from the beginning of January 2019. An adoptive family takes care of a child, who legally becomes part of the family. According to the previous legislation, a family who has adopted a child had the right to parental leaves, but with 63 days less than a family whose child is born into the family. In short, an adoptive family would get only 200 days of leaves, compared to 263 days if a child is born into a family. If there are two parents, there will be a 54 days addition for the other parent, which is called paternity leave. If there was a single mother, she had not got the right to these 54 days of paternity leave. A single father, instead, would have the right to paternity leave. Basically, a single father thus gets 54 days more than a single mother! Moreover, these 200 days were valid only if the adopted child is less than 7 years old. The new model regarding adoptive families proposes to give same rights to paternity leave to both parents, offering in addition more days (233 instead of the 200). Furthermore, the family will also receive parental leave if the child is more than 7 years old. A multiple birth family has more than one child born of adopted at the same time. Before the new law, the state allowed them normal parental leaves, plus 60 leave days more, which can be taken at the same time with the other parent. However, a paternity leave of 18 days is applied only to one child. The new law gave to the family a longer paternity leave: 18 days per child who is born or adopted at the same time. Not more than 105 days, if there are more children at the same time. If there is a situation of a single parent, the family´s leaves were different if the single parent is a mother of a father. The mother would not get paternity leave, which would make her leaves 54 days shorter than the father´s leaves. The new legislation states that all single parents would have the same right for leave than two parents. It is great news that some of the family leaves have been changed in Finland. However, we are not still in a situation of equality for all the families. What happened on last Wednesday is a step forward to a change which hopefully will lead towards a better society, with more equality between people, parents, children and families of all kind.